China is ready to work with other countries and the United Nations in supporting multilateralism and the free trade system, which are confronted by rising trade protectionism, Premier Li Keqiang said on Wednesday. 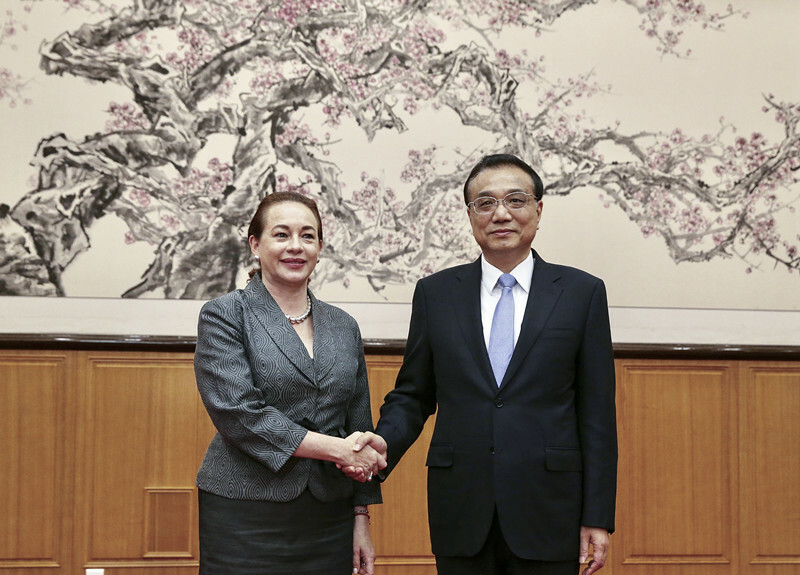 The country will firmly safeguard the authority of the UN, adhere to principles of the UN Charter and support its core role in international affairs, said Li during a meeting with Maria Fernanda Espinosa Garces, the newly elected president of the UN General Assembly for the 73rd session, in Beidaihe district, Qinhuangdao, Hebei province. Espinosa Garces, an Ecuadorean diplomat, will assume office next month. Fundamental rules of the World Trade Organization should be safeguarded, and the free trade system should be improved to promote trade liberalization and investment facilitation, and to fight against trade protectionism, the premier said. As a permanent member of the UN Security Council and the world's largest developing country, China has been supporting the UN's work, Li said. China will participate in UN missions in various fields - such as politics, peacekeeping and development, and economic affairs - in comprehensive and in-depth ways, the premier said. The country will fulfill its international obligations and promote world peace, foster global development and safeguard the international order, he said. Over the past seven decades since the founding of the UN, the world has seen relative peace and more than a billion people have been lifted out of poverty, while increasing numbers of countries are undergoing development and attaining prosperity, the premier said. All of these achievements have been closely connected with the process of globalization and multilateralism, he said. Against the current international scenario, a multilateral world is needed now more than ever, Li said. He called on all countries to safeguard the rules-based international order, adhere to the principles of the UN Charter and resolve disputes through dialogue. Li said the UN and the WTO should be reformed and improved based on the international order after World War II, and according to major principles such as the UN Charter and free trade. Espinosa Garces said the UN has attached great importance to its relations with China. She spoke highly of the country's vital role in strengthening multilateralism and its enormous contribution to the UN's work. The UN is ready to work with China and other countries in safeguarding the rules-based international order, promoting free trade under the framework of international laws and WTO rules, and boosting economic globalization that is inclusive and beneficial for everyone, she said. The two sides should work together to cope with challenges and promote global peace, stability, development and prosperity, Espinosa Garces added.